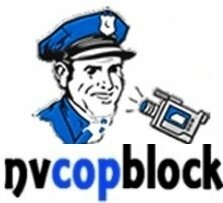 Kelly W. Patterson shared this post, written by Adam Sanacore and originally published on NVCopBlock.org, via CopBlock.org’s submit page. Centuries upon centuries ago, the Roman philosopher Cicero boldly stated that the more laws that exist, the less justice there will be for the people. Hundreds of years later, we still, by the bounds of our own willful shackles, continue to mistakenly believe that every time a new law is enforced, and the more the individuals trained to do the enforcing uphold it, that we’re going to be given a sense of safety. More revenue from the citizens generates more funding and more police officers on the road. The average informed citizen may wonder why this would need to be placed on the altar for dissection. “Why, more cops means more protection for the people!”, has been the most habitual, emotionally based response from the collective of the American populace. Yet, as scientific research has shown us, possible correlations do not spell out causation. I want to make one thing clear to all of my readers right now: regardless as to whether or not you’re a republican, democrat, or libertarian, conservative, liberal, or voluntaryist, we cannot continue to hold the misconception that putting more police officers on the streets is going to endow us with a more solid feeling of protection. Don’t believe me? Well, I’m sure Kelly Thomas, if he were still with us right now, would have something to say after he was beaten to death by two officers as he was crying out for his dad. Or what about the individuals who are falsely arrested or attacked by officers for videotaping arrests, an act which has been deemed legal by courts? Or, more importantly, what about the seemingly expanding list of individuals who have been assaulted, threatened, forced to watch in agony as their pets are shot, or even killed by officers for absolutely no reason? Are we really willing to continually delude ourselves into thinking that we’re being well protected? Beyond the abuses, scandals, and deaths, there is another disturbing question about this More Cops Tax that seems to be largely ignored by the media and the commission. That inquiry is whether or not the appropriated funds (which we’ve been told will be spent rationally) could add to militarization of the LVMPD. Over the course of the last few years, the line between police officers and soldiers has become less noticeable. Armored vehicles resembling tanks, assault rifles, and fully equipped armor is becoming a standard norm in many states. The question, of course, is why? I’m not trying to make the argument that cops shouldn’t have equipment. What I would like to know, however, is why every police officer in the country now has to look like a member of S.W.A.T when they go through a neighborhood to settle a dispute. Some of you probably think that I’m being slightly paranoid about all this, or that I’m simply being too pessimistic about this situation. Perhaps you’re right. However, I want you to consider this: every founder, from Washington to Madison, warned us about the consequences that unfettered militarization could have upon our country. James Madison, the father of the United States Constitution, stated that a country with the elements of a standing army would no longer have the capacity to breed liberty. Posse Comitatus, one of the most important acts in properly defining the limits of military use, forbids the use of the military to handle police actions. If this tax does clear the commission, and ends up creating an environment where militarization and abuse at the hands of the police could fundamentally take root in Metro like it has in other parts of the country, when will we be finally willing to allow reality to slap us in the face and give us the motivation to draw a line in the sand? I want to make it fully clear that I’m not trying to say that every cop is an immoral abuser. I fully recognize that there are cops out there who are well intentioned and do their best to defend and secure our rights. Sadly, there is an epidemic of the uncaring aforementioned that have been detailed in this article, and the media seems to make it clear that they’re growing by the day. If the commission really wants to make a real change among our police officers, then maybe they should look into how they can re appropriate funds to teach new cadets about the importance of upholding the Constitution, and not using their badge to as an excuse to lay abuse on others. The above post was submitted by Adam Sanacore, originally via Facebook. ← No “More Cops” for the LVMPD. They Aren’t Needed and They Aren’t Wanted.